When choosing a healthcare provider, people want a primary care physician who is close to home and knows their family well. That is why Saint Francis Medical Center is committed to building a network of primary care clinics throughout the region. Saint Francis Medical Partners has established partnerships with clinics in Cape Girardeau, Jackson, Poplar Bluff, Piedmont, Dexter, Charleston and Farmington. The focus of primary care is disease prevention and management. Patients rely on their primary care physicians to educate them about important, lifesaving screenings. 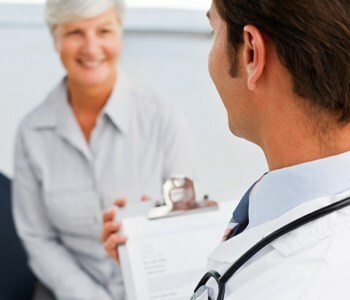 For people who suffer from chronic diseases such as high blood pressure and diabetes, primary care physicians assist them in managing the disease process. Many of the smaller communities in Southeast Missouri are experiencing a critical shortage of medical specialties. As Saint Francis Medical Partners, Saint Francis primary care physicians benefit from having access to trained specialists, powerful resources and advanced technologies at Saint Francis Medical Center in Cape Girardeau. Patients experience the best of both worlds with primary care physicians they can trust in their own communities, while having the support of specialty physicians ready to treat even the rarest of conditions at Saint Francis Medical Center.